On this day groups of children from SLC will perform on the stage. The visitors can also interact with the vocational students to make bracelets, paint rocks with them. 20 Indian artists will be showcasing their artworks and will individually contribute an artwork for auction. These artworks have been created as buddy projects between the artists and the special needs children at SLC. Really special pieces of art with a story behind each one of them. 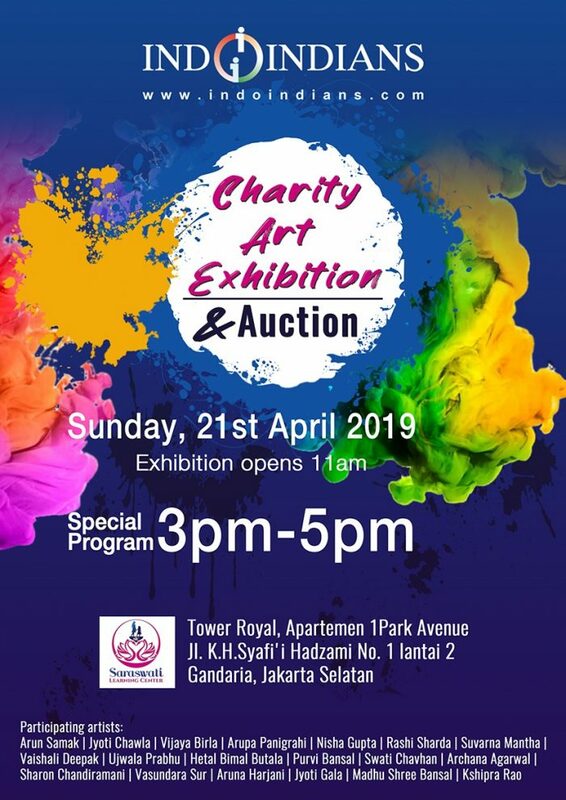 An onsite painting children;s competition will on the theme ‘Kindness’ will provide a platform for children between 6yrs – 16 yrs to demonstrate their creativity and skill. Our main program is from 3pm onwards with Chief Guests and VIPs to inaugurate the event. Our auctioneer is well know art curator and advisor Deborah Iskander. The auction bids will be in months of sponsorship for students at SLC with starting bid of 6 months. The proceeds of the suction will be accounted and audited by Siddharth Taparia, who is a chartered accountant. We look forward to meeting you on Sunday, 21st which is also Easter and Kartini Day.